With regard to consumer prices, the BRH mentions that “[…] inflationary pressures intensified during the months of January 2019 and February 2019. The reduction in the supply of a At the same time, this situation can also be explained by the rise in monetary settlement, and its consequences in terms of the depreciation of the national currency and the increase in aggregate demand. 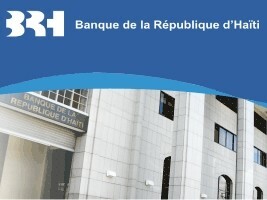 Thus, annual inflation (base 100 in 2017-2018) was 17% in February https://www.haitilibre.com/en/news-27278-haiti-economy-new-record-inflation-accelerates-and-reaches-17 -in-february-2019.html against 15.10% in December https://www.haitilibre.com/en/news-26810-haiti-economy-inflation-crosses-the-bar-of-15.html […] The rate of exchange was 82.65 gourdes for one US dollar, an increase of 7. 07% compared to December 31, 2018. Among exogenous factors that can influence inflation, BRH quotes the impact of drought US Midwest Stresses that inflation may be affected by the rise in the world in Venezuela and the economic situation in Venezuela. […] […] Moreover, the uncertainties that still weigh on the business climate following the events of February and the expectation of the ratification of a new government could fuel negative expectations. Similarly, the vagaries of the setting of the minimum wage could affect business and investment, particularly in the export-oriented sub-contracting sector. The Note on Monetary Policy of the Bank of the Republic of Haiti (BRH) Recent developments in the Haitian economy.